Everybody has a variety of considerations and expectations when it comes to choosing a car. However, if you are searching for a Top Luxury Cars Under $40,000 , your main expectation is to complete your journey feeling relaxed regardless of the distance. Luxury cars are specially designed to deliver the ultimate motoring experience. Some of their unique features include a serene cabin, massaging seats, and exclusive onboard devices to experiment with. Currently, there has been an increasing demand for luxury cars with many buyers looking for a combination of comfort and affordability. Many manufacturers are committed to meet the demands of their customers without compromising on quality. As technology takes center stage in this generation, manufacturers are leveraging on it to deliver state of the art interiors, and a plush and gentle driving experience. This kind of luxury has for years been a preserve for the wealthy. Things are changing and buyers can get luxury cars depending on their budget. Below are the top luxury cars below $40,000, a clear indication that you do not have to break the bank to cruise around in a luxurious car. The list illustrates the most buyers can get for the amount they spend on specific models. While some new generation luxury cars cost more than $40,000, many luxury vehicle manufacturers have smaller models. If you are looking for an affordable but prestigious car, choose your preferred model from the following list. Suggested read: Thinking about applying for a secured car loan? The 2019 Alfa Romeo Giulia has various accolades to its name including the ultimate new luxury compact luxury car, the best design, and the ultimate safety pick. The car has caught the attention of many luxury car potential buyers especially those whose luxury car preferences include: a captivating style and accurate handling talents. The car comes with rotating cabin lighting, leather upholstery, smartphone integration, and automatic dual-zone climate control. The Giulia comes with a 280-hp and standard Brembo brakes. The $39,490 starting price is an indication that affordable luxury cars do not have to be manufactured in Japan or German. The TLX is an excellent and solid sedan from Acura retailing at $33,995. It comes with 206 hp which may not satisfy the desires of the ultimate luxury car fanatic. However, the TLX is fitted with compliant aspects and numerous safety features. While the ride quality is regulated, it is uniquely comfortable. The conventional all-wheel steering enhances its agility. If your prefer enhanced luxury, the TLX 290-hp V6 could be all you need for $37,195. However, you can still purchase the 206 hp and choose the technology package. This comes with GPS-connected voice recognition and climate control, and perforated leather upholstery. For this, you will pay $37,695. Acura also has the TLX hybrid model that costs $39,195. Regardless of the model you choose, you are sure to get value for your money. Hot topic of the day: Should you trade in a car with an underwater loan? While the newest A4 is larger and retails at below $40,000, it falls under the fuel-sipping, and lower powered ultra model, which disqualifies it from the least of ultimate luxury cars below $40,000. The A3, on the other hand, is a smaller subcompact sedan retailing at $33,495. It comes with a refined design philosophy which forms a critical part of the marque’s ambiance. Further, it offers a ride quality to maximize your experience, has a panoramic sunroof, and leather upholstery. With this amount, buyers can opt for a more sophisticated car such as an all-wheel drive. The 2019 A3 convertible, for instance, retails at $39,895. Read: Can I buy this car with instant approval financing? The 2019 BMW 230i comes with enhanced safety features and quality parking sensors. Further, it has a 248-hp and an automatic 8-speed transmission. This car offers you a combination of excellent fuel economy and remarkable power, sporty handling without compromising the ride comfort, and a well-structured interior complete with numerous features. The cost starts at $36,295. You can get the xDrive all-wheel system for an extra $2,000. The Jaguar XE has a magnificent suspension. According to many luxury car buyers, long distance relaxation is one of the definitions of luxury cars. The XE combines control and precision and has no indication of harshness. With this car, owners are torn between sitting at the parking and marveling at its exquisite proportions and lines or driving to nowhere in particular for leisure. This car comes with an automatic 8-speed transmission, a 247 hp turbocharged engine, and a rear wheel drive. While the Genesis marque cannot be considered high-end, it offers maximum driving experience, premium design and quality, and plenty of quality equipment. The 2019 G70 comes with a 252-hp engine and the starting cost is $35,895. Various items that would otherwise have been expensive extras in competitor cars are included in the package. These include Smartphone integration and blind spot monitoring. Additionally, buyers get a 3-year service valet and a 10-year/100, 00-mile power train warranty. Genesis is committed to carving a reputation in the luxury car industry as a bona fide premium marque. The 019 Lincoln MKZ has some of the most opulent luxury equipment. They include a wide variety of advanced driver assistance and a flexible suspension. The MKZ hybrid powertrain is included in the package and has a 48 mpg. This car offers a smooth ride, a serene cabin, and an average premier environment. Further, it has exclusive safety ratings. Its starting price is $35,605. The 2019 Lexus IS 300 premium compact sedan may be replaced soon. However, some of the features of all Lexus vehicles are invariable. These include excellent cabin materials, superior design quality, superb resale values, and plentiful levels of quality equipment. If you are a Mercedes enthusiast who cannot afford the C-Class yet, the 2019 Mercedes-Benz A-Class is designed for you. It is a subcompact all-new sedan model. Many people are already conversant with this model which was previously referred to as the most affordable vehicle from Mercedes Benz. The CLA-Class is referred to as the 4-door coupe in the Mercedes Benz realm and comes with a restricted rear passenger space for a four-wheeled car. The new A-Class, however, is more spacious. With the %40,000 budget, buyers can still afford to purchase some prestigious extras and driver assistants. The interior design is borrowed from more expensive and larger cars in the Mercedes Benz world and this adds to its comfort. The 2018 Infiniti Q50 offers all-wheel drive and enhanced power. It comes with a 208- hp base turbocharged four-cylinder which works well. However, the V6 provides the Q50 with enhanced firepower. With a less than $40,000 budget, you can easily upgrade the V6 engine. The only obstacle with choosing the V6 is you cannot add any other features. The starting price is $35,200. Currently, the Q50 Luxe trim has an entry-level engine complete with a rearview camera, a moonroof, and an excellent fuel economy. The car earns 30 mpg on the highway and 23 mpg in the city. It has a spacious trunk and more feet space. The 2019 Volvo S60 is a new model premium compact sedan. It comes in the latest Volvo design and many Volvo enthusiasts are getting ready to sample it. The car has numerous and powerful good quality safety features. They include a risk detection system that can identify pedestrians, cyclists, and big animals. The interior is not only smart, but it has the signature simple styling familiar with Volvo. If you are looking for more sophistication on a less than $40,000 budget, go for the 2019 250 hp S60 T5 momentum. The starting price is $36,795 and you get to enjoy the 18-inch alloy wheels, a panoramic sunroof, and uniquely comfortable seats. The 2018 Audi A3 (tie) price starts at $31,950 and happens to be the smallest sedan from Audi. however, it has an appearance and feeling of a bigger and more expensive car. It delivers great performance, offers excellent fuel economy, and agile handling. Its high technology cabin is fitted with state of the art tech aspects. This car, however, has a limited cargo and rear seat area. The A3 comes with a 2.0 liter four cylinder 186 hp turbocharged engine, and an automatic 7-speed clutch transmission. You could easily upgrade to the Quattro four-wheel drive A3 for less than $40,000. This will offer you a more powerful 220-hp turbo four that comes complete with an automatic 6-speed clutch. Advancements in the motoring industry have resulted in the production of low-cost luxury vehicles. Today, you can get all the conveniences of a luxury ride at reasonable prices. You do not have to drive high-end Marques to enjoy luxury. Do you need help on how to get financing on any of these luxury cars under $40k? 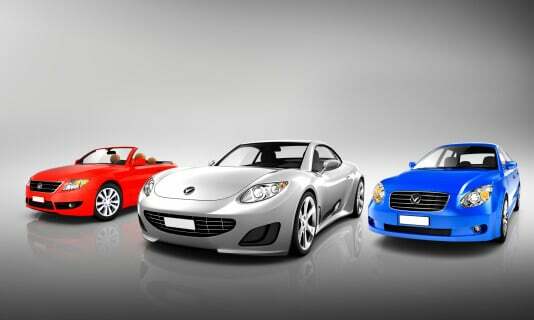 Complete Auto Loans is ready to help you get financing to buy your dream car!